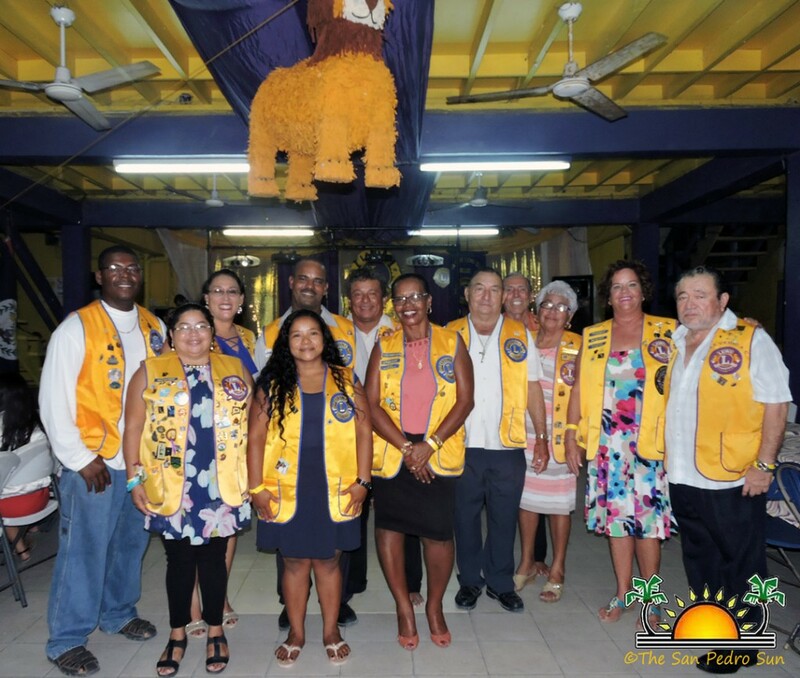 A grand ceremony for the San Pedro Lions installation of their new 2017-2018 Board of Directors was held on Saturday, July 22nd. 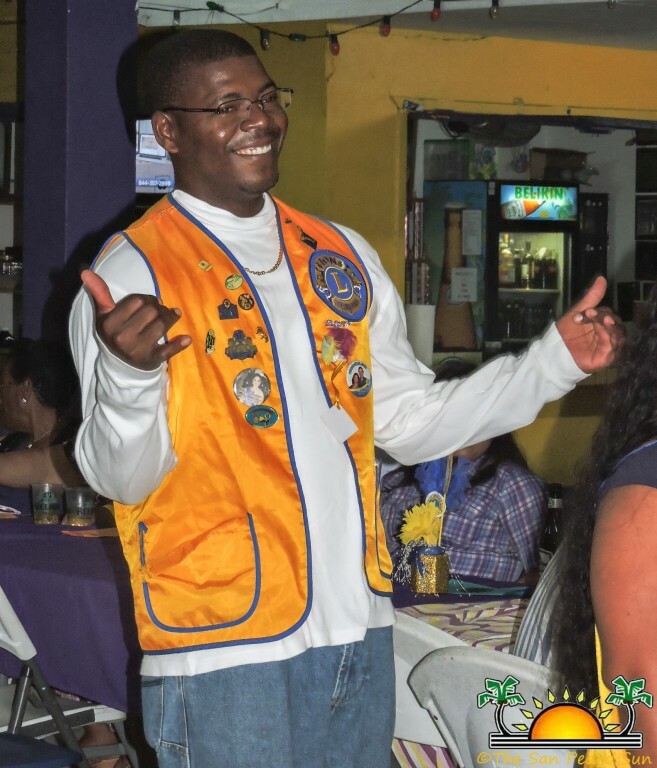 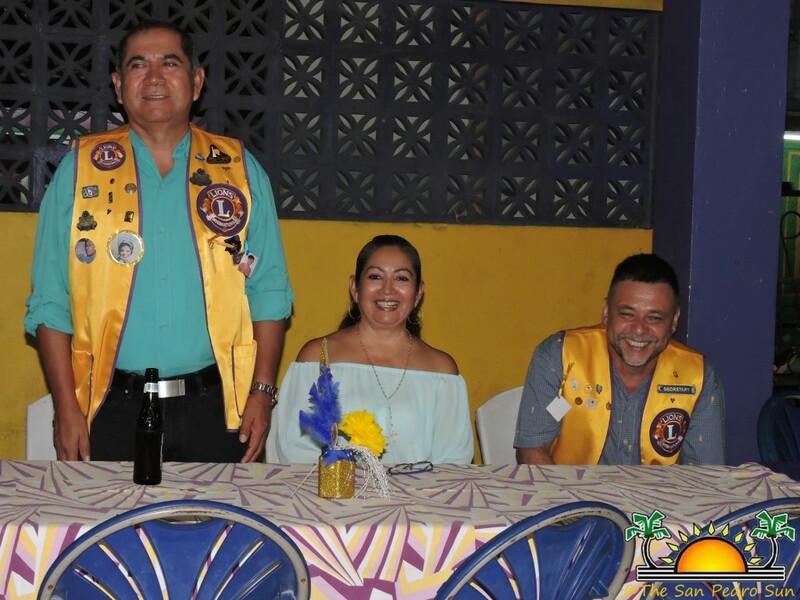 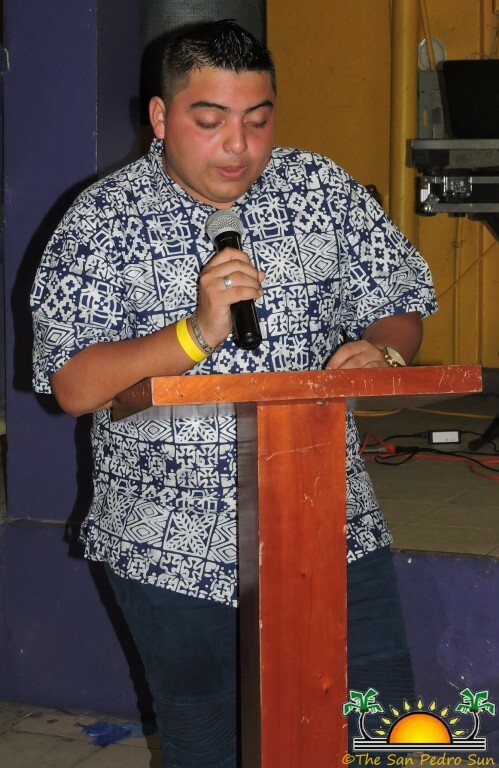 Hosted at the Lions Den in downtown San Pedro Town, invited guests, local club members and members from Lions Clubs of Belmopan, Belize City and abroad, kicked the evening off with a social hour that began at 7PM. 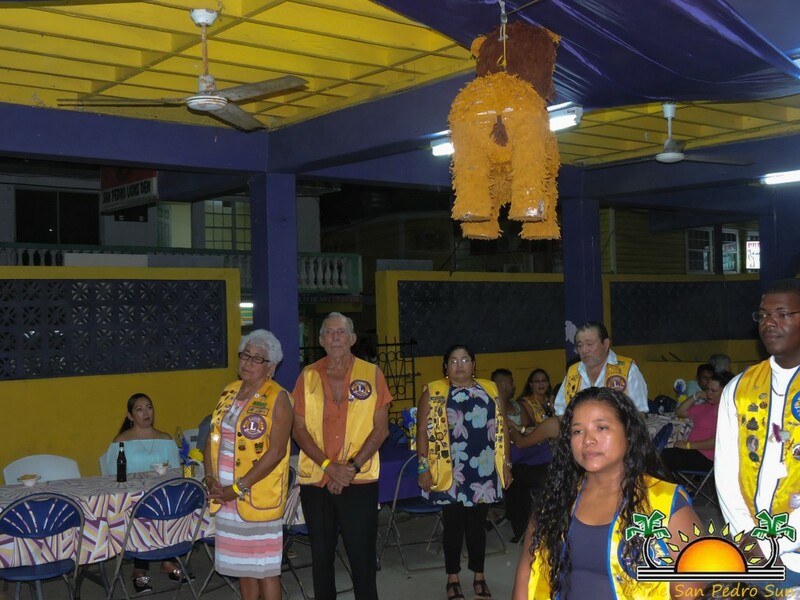 Everyone enjoyed the opportunity to mix and mingle, and around 8:30PM, Master of Ceremonies Eiden Salazar called the installation program to order. After the National Anthem was sung by all, Father Scott from the San Pedro Roman Catholic Church led the invocation. 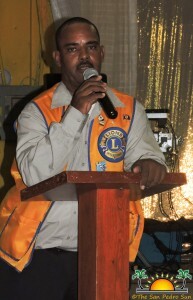 Salazar then asked for a moment of silence to remember recently departed Lion members. 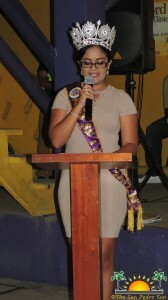 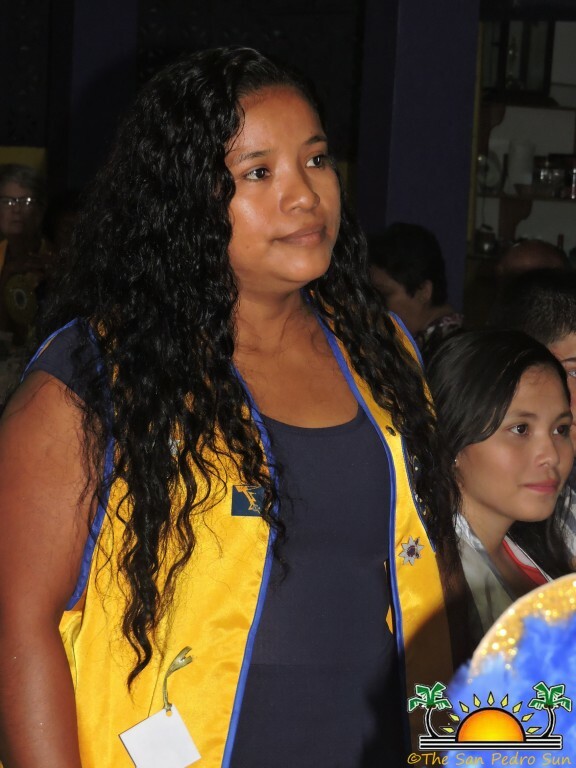 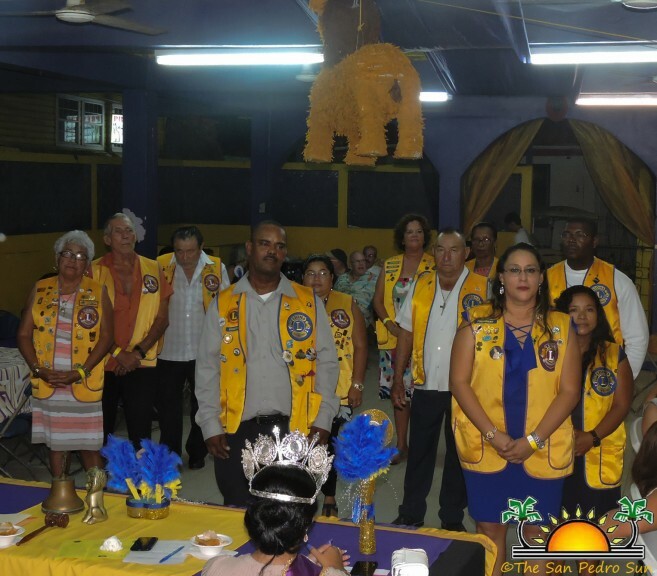 San Pedro Lions Queen Erica Bodden gave the welcome address, and Belize Zone 59 Chairlady, Zoe Zetina of Belize City, had the honor of installing the new Board of Directors for both the San Pedro Lions and the San Pedro Leos Club. 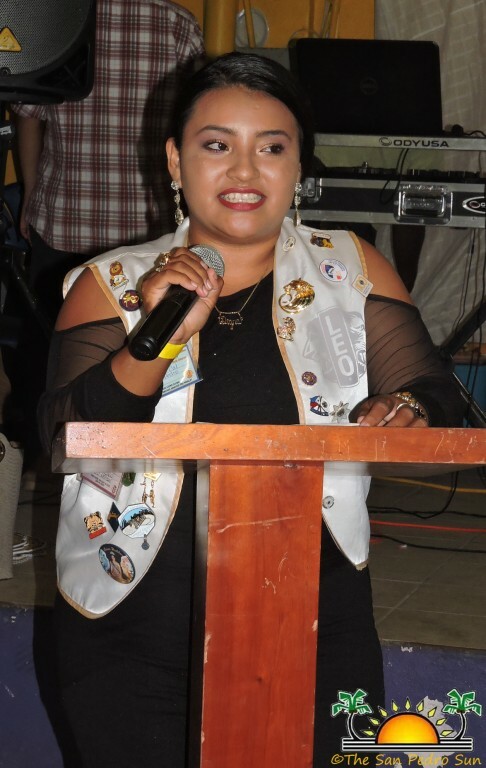 Chairlady Zetina carefully read the responsibilities of each director as they were called forward to accept their appointment. 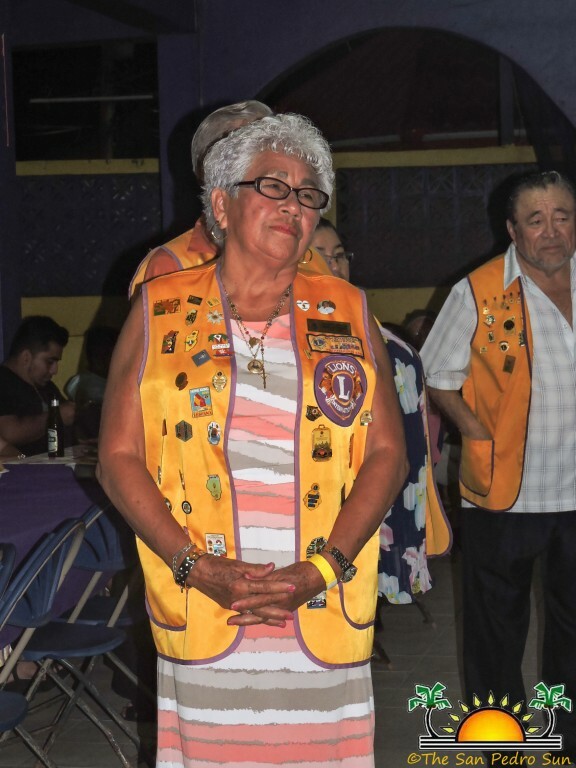 The Board of Directors for the San Pedro Lions Club consists of 15 directors. 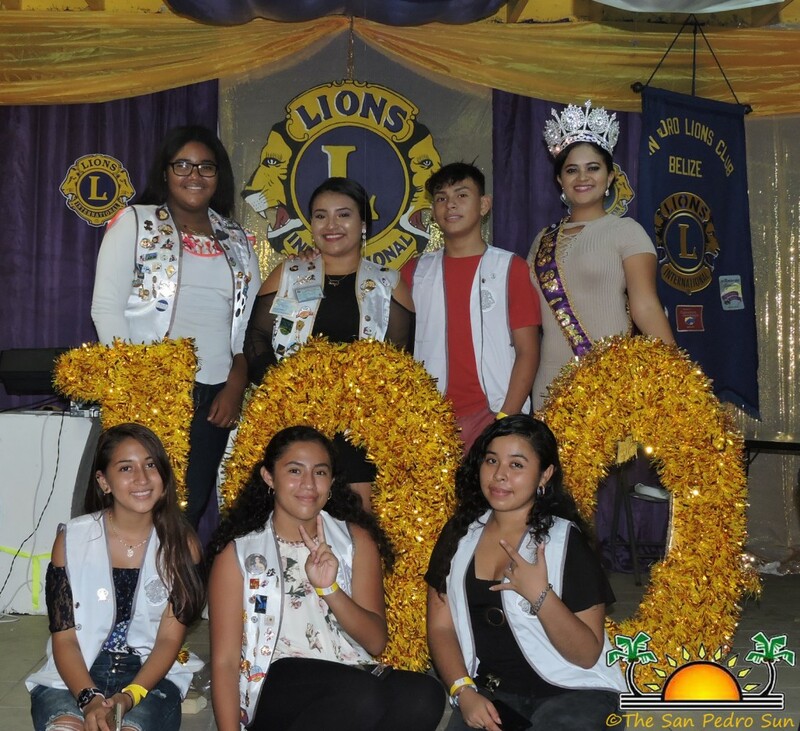 The new 2017-2018 Board includes second-term Nigel Belisle–President, Melanie Paz -Vice President, Mel Spain-2nd Vice President, Rigo Kumul-3rd Vice President, Abel Guerrero-Treasurer, Pamela Zatina-Secretary, Fatima Graniel-Membership, Maiela Rosalez-Lion Tamer, Everette Anderson-Tail Twister, Nita Marin-1st Year Director, Francisco Verde-2nd Year Director, Baldemar Graniel-3rd Year Director, Pete Salazar-4th Year Director, Pamela Zatina-Leo Advisor and Angel Nuñez-Leo Advisor. The Leos Cub installed four new Board of Directors. 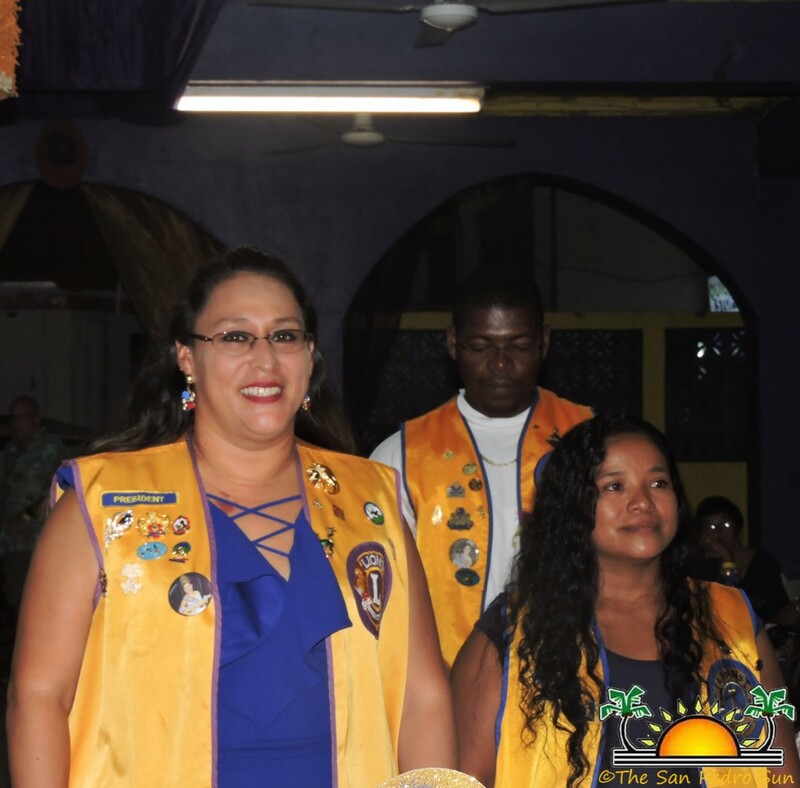 Diana Cal-President, Limairie Bowden-Vice President, Virginia Vasquez-Treasurer and Jackeline Vasquez-Secretary. 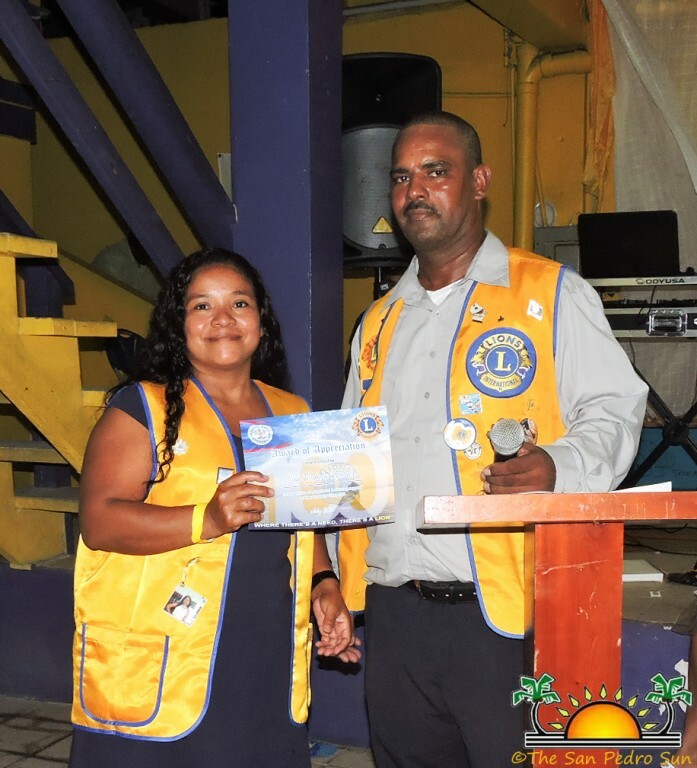 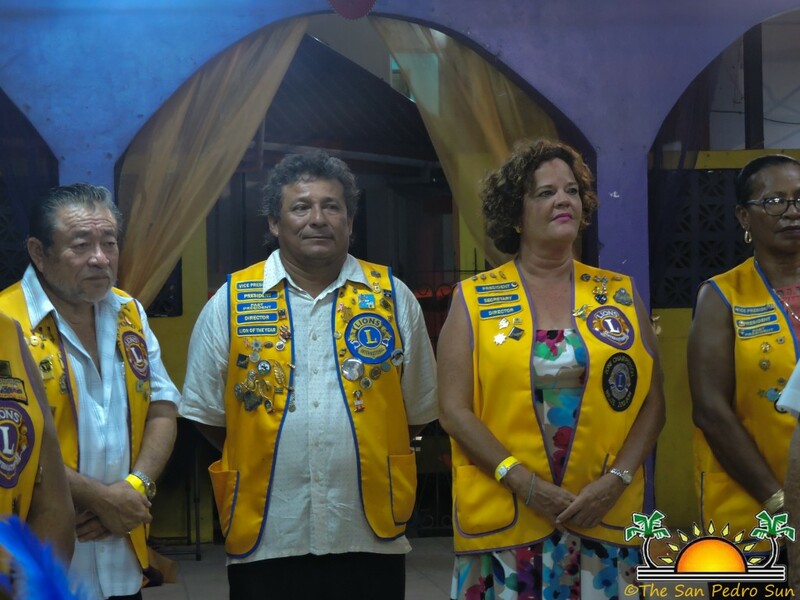 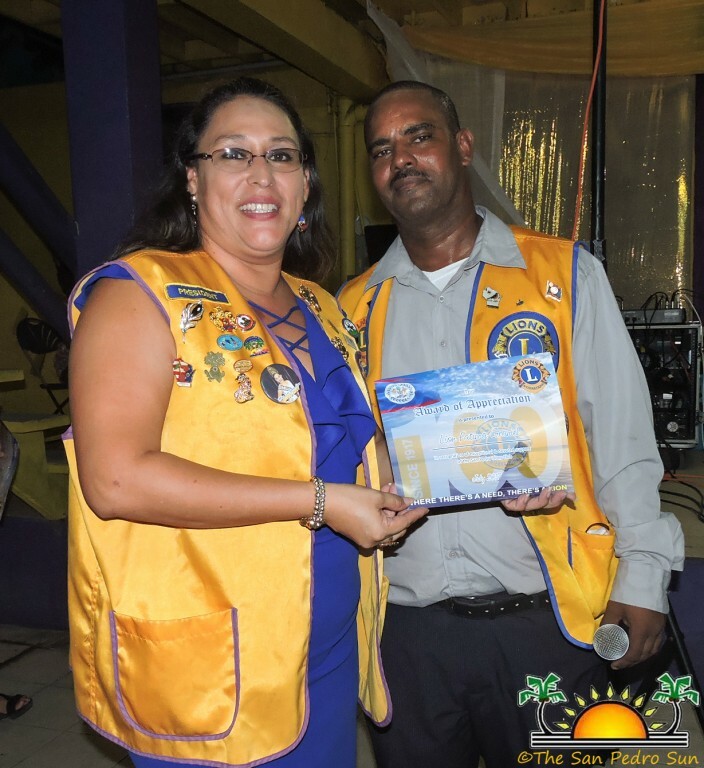 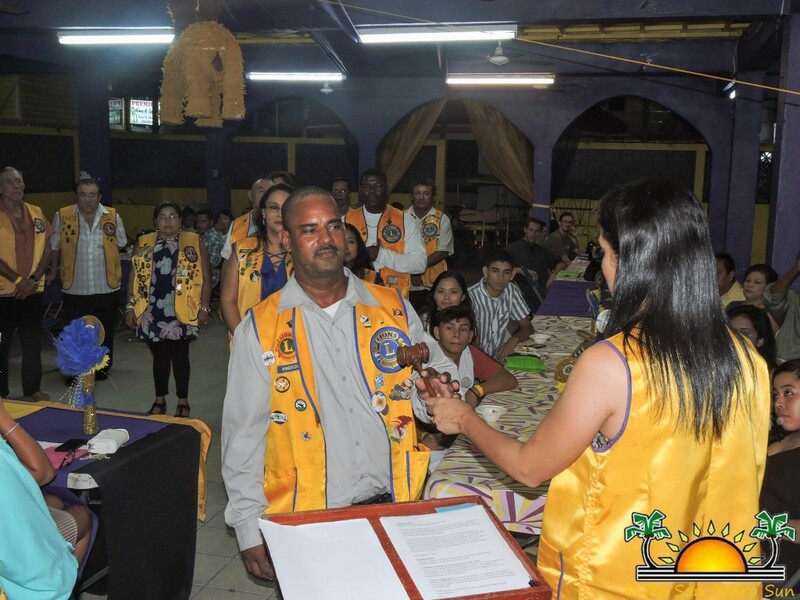 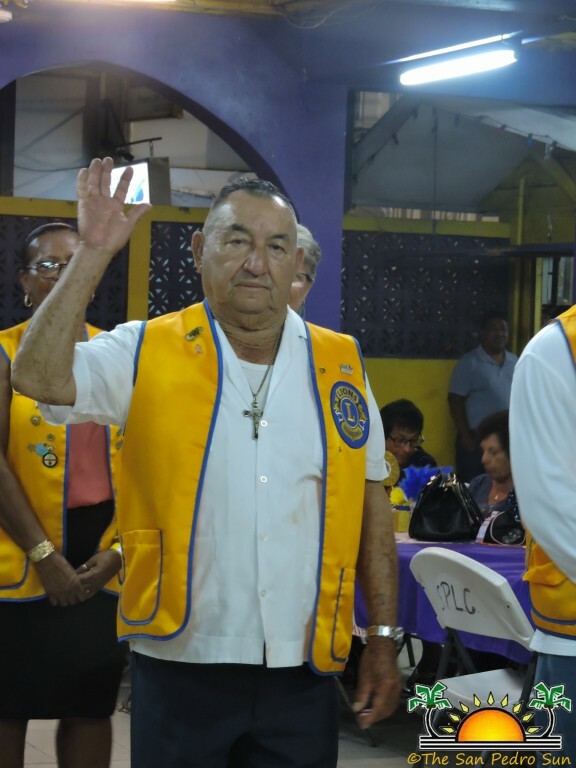 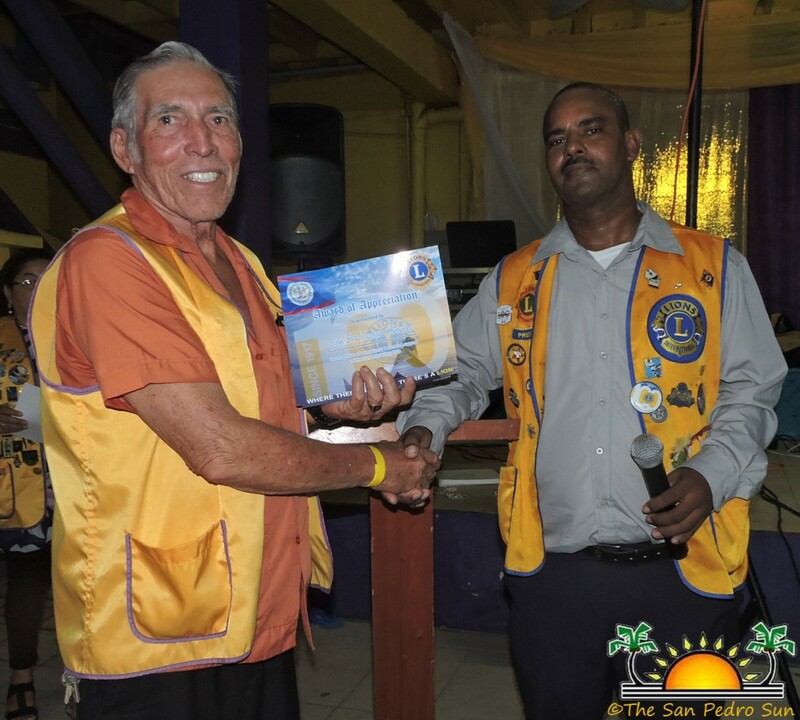 Following the swearing in ceremony, guest speaker Lion Dr. Glen Espadas from the Belize City Lions Club recognized those from the San Pedro Lions Club who have been instrumental in the success of the club. 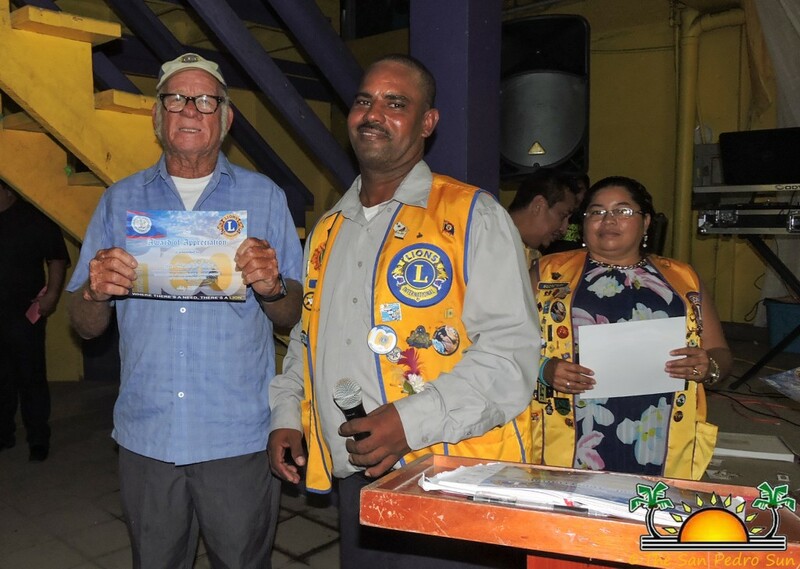 Guests enthusiastically clapped as he mentioned Baldemar Graniel, Pete Salazar, Abel Guerrero, Gonzalo “Reds” Lara and Francisco Verde as the backbone of the club. 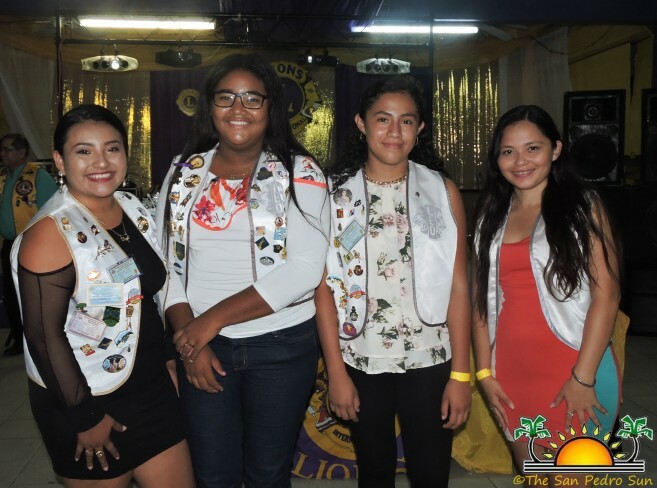 Espadas also commended the hard working women in the group, recognizing Nita Marin, Flor Ancona, Melanie Paz, Mel Spain, Fatima Graniel and Marina Graniel. 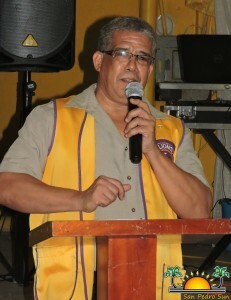 In closing, Espadas congratulated the Club on their 41 years of success, and encouraged the continuation of team work. 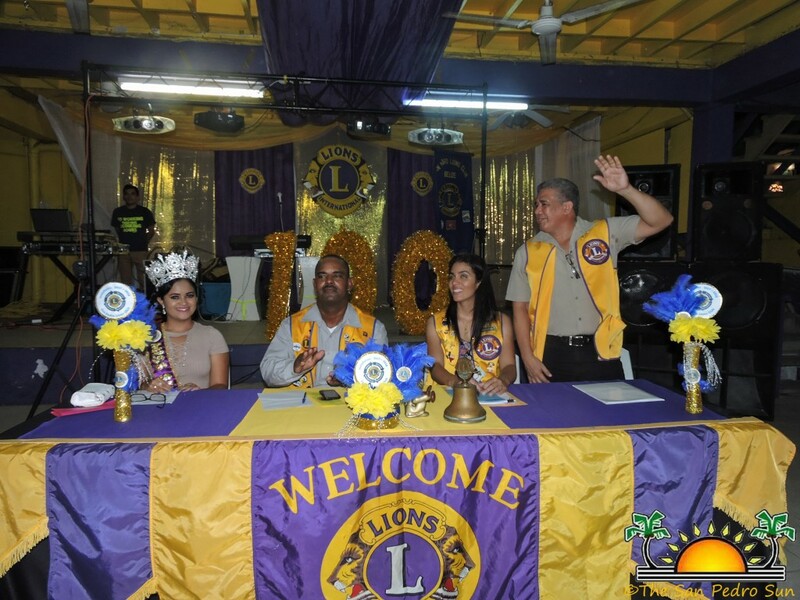 San Pedro Lions President Nigel Belisle then took to the podium and reflected on the accomplishments of the club over the last year, highlighting the success of the Eye Screening Program that has served over 3,000 children in San Pedro and Caye Caulker, and over 5,700 children in the Corozal District. 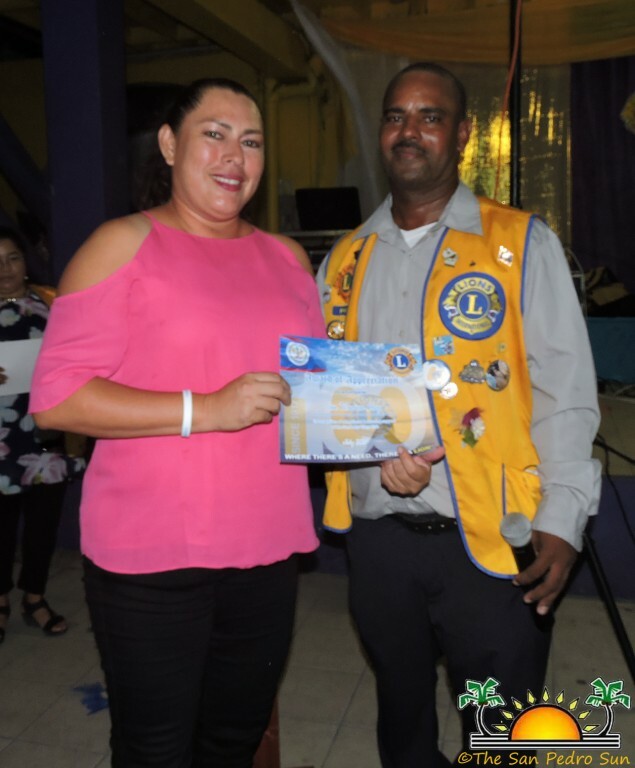 Belisle also emphasized the importance of harmony and unity within the club, stating that by working together they can accomplish many things. 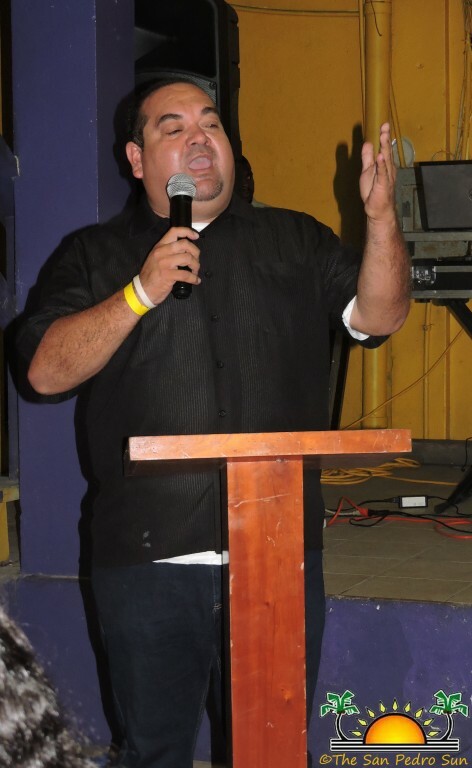 Out-going Leo President Randy Rivero also spoke, thanking the Leos for their hard work and support, and emphasized the importance of team work and unity. 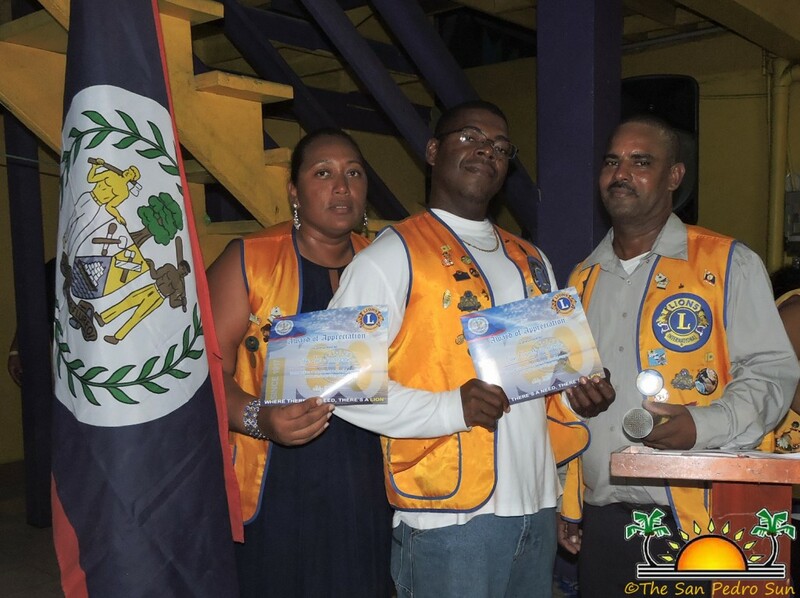 President Belisle then issued pins and certificates of appreciation to members and Leos alike. 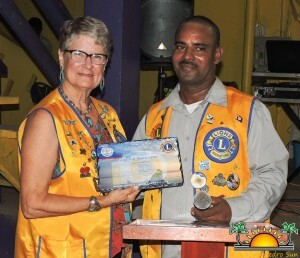 A special plaque of appreciation was awarded to Lion Jan Brown, who resigned from the club in June of this year. 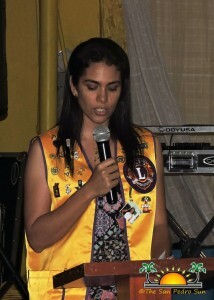 Belisle thanked Brown for her hard work and dedication, especially in her work with the Eye Screening Program. 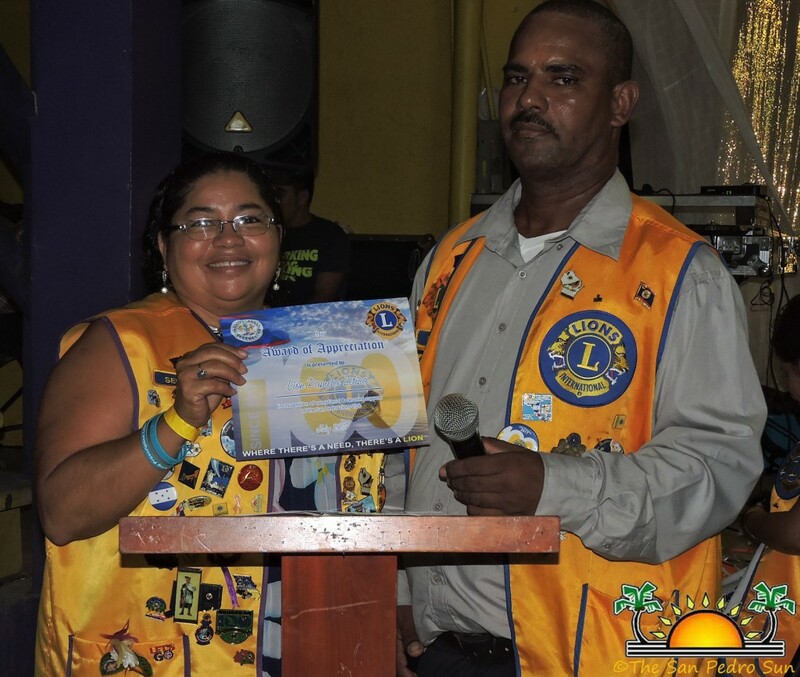 Leo President Dianita Cal gave the Vote of Thanks and encouraged everyone to enjoy the rest of the evening. 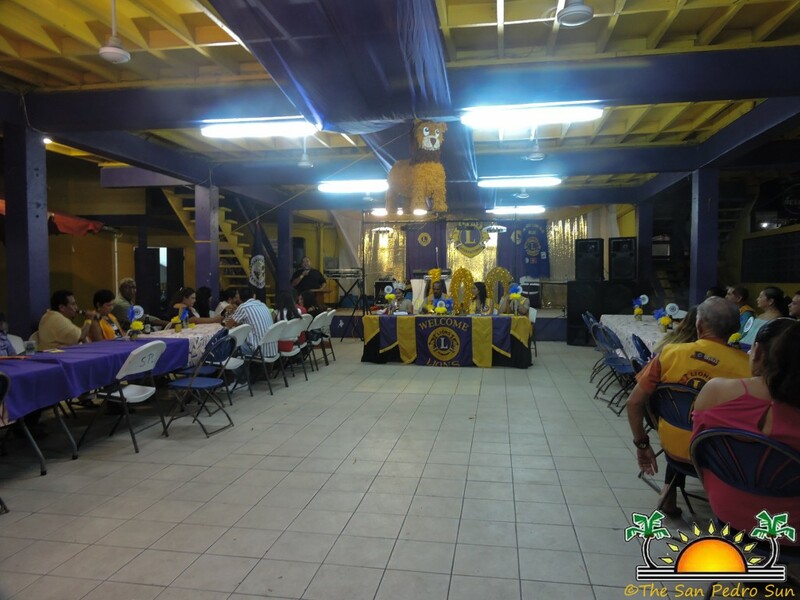 To properly conclude the program, Lions and Leos invited their guests to join in singing the Lions song, "I have the Lions Spirit", which was sung with great enthusiasm! 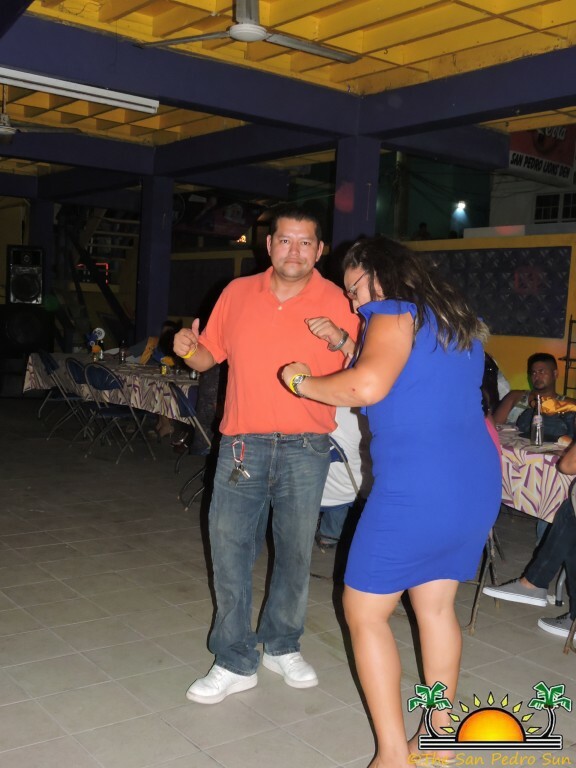 As the lights dimmed and the DJ music by Versatile Premier Sounds began, guests were quick to hit the dance floor, and the party continued into the night. 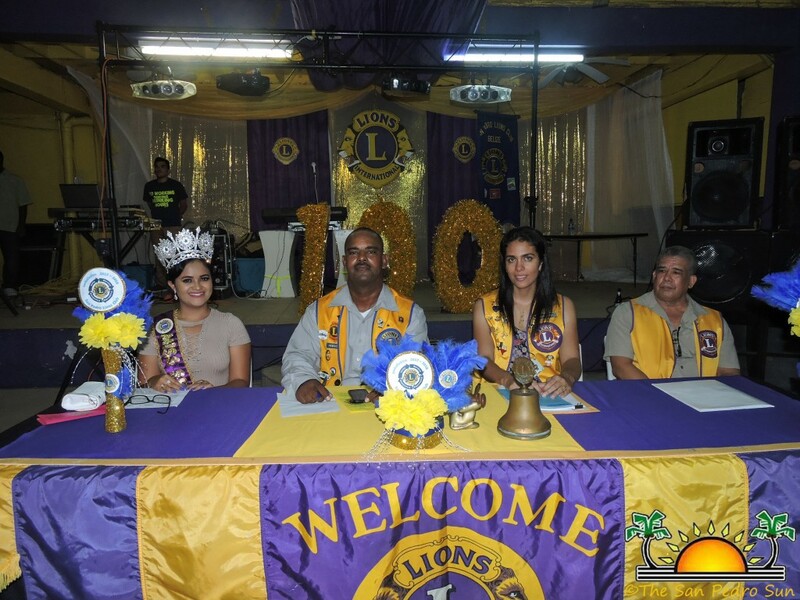 The San Pedro Lions Club was founded in 1976 and is a non-profit service organization. 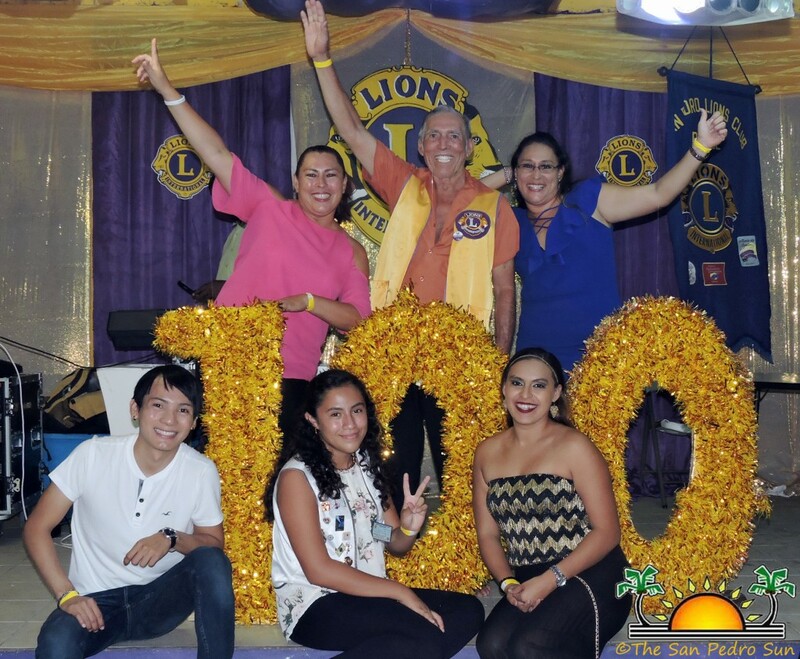 This year Lions International celebrates their centennial anniversary.